Are you beginning to weigh your Karate Class Kingwood TX options but you don’t know what to pick? You might be searching for martial arts academies that can help you grow in a number of ways. If you’re ready to transform your body and mind, Tiger-Rock Martial Arts is the place for you. Our studios have been around since 1983, and we are currently the most popular martial arts franchise in America. Read more to discover how our experienced team of instructors and experts can assist you with your journey. Tiger-Rock Martial Arts is a great place for you to begin your journey towards transformation and self-discovery. There are many dojos out there, and it can be tough to figure out which one is the best fit for you. Our certified instructors have been practicing and mastering martial arts for years, and they can help you grow mentally and physically. At our studios, we teach a traditional form of Korean Taekwondo. In addition to this, we also have self-defense programs that give our students the skills they need to defend themselves. Are you beginning to feel like your physical makeup isn’t where it needs to be? Perhaps you have been living a very sedentary life for years now, and you’re beginning to feel your range of motion decrease. This is something that a lot of people go through, but martial arts promotes flexibility. Enrolling in a karate or Taekwondo program can help you regain the flexibility you lost by not exercising enough. 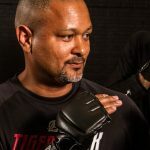 At Tiger-Rock, we have high-intensity striking and kicking drills that give your entire body a workout. You will definitely notice that manipulating your body will become much easier after you commit yourself to our programs. Something else that we can help you with is strength training. Nearly everybody wants to become stronger, but not enough people properly commit themselves to a program. Are you beginning to feel like your upper and lower body strengths are poor and inadequate? If so, lean on our programs and you’ll have a solution. All of our exercises and drills promote strength training. While we always encourage our students to get as much exercise as possible, you will see improvement if you are committed to our program. When looking for a Karate Class Kingwood TX course, it’s important to find a place that will help you grow mentally as well. Are you beginning to feel like you’re not as mentally tough as you need to be, and it’s starting to have real-world consequences? Perhaps you’re not focusing enough at school or work and you don’t know what to do. If so, our courses are a great resource to begin developing your mental fortitude. There are no shortcuts in our dojo, and we will push each and every student to be the best martial artist they can be. We have a tried and true 15-step plan that we implement with all students, and it helps them grow without skipping any steps. Did you know that there are studies that show the positive mental benefits of martial arts? If you’re beginning to feel like your focus and energy aren’t up to par, committing yourself to a dojo could be a great choice. We want our students to feel comfortable, and we’re always encouraging them to push forward and past their limits. We have developed an atmosphere that is challenging and engaging, but you will also have fun. Our instructors have experience teaching and training people from all backgrounds. If you’re beginning to feel like you’re not getting the best out of yourself and you need some help, we’re here for you. Our experts can help you realize your full potential one step at a time. Do you have a child that’s not exactly thriving in school, sports, or social activities? Perhaps you’re beginning to wonder if your offspring is fundamentally flawed in a medley of ways. 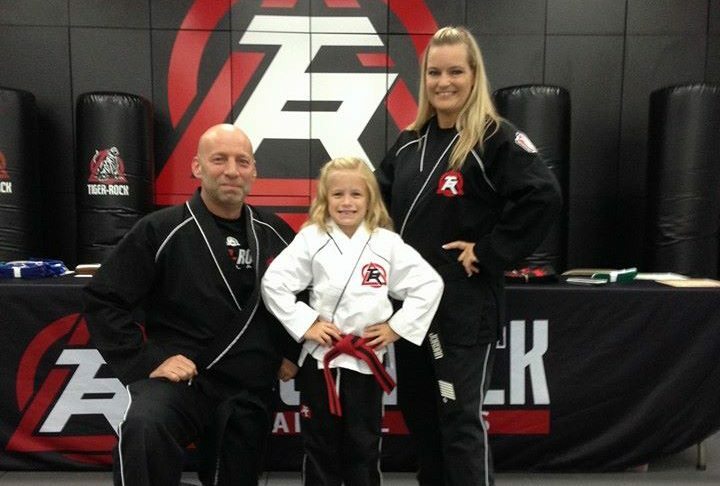 While many people are concerned parents who want the best for their children, not many realize that martial arts can be a solution. If your kids are beginning to feel restless and anxious, enrolling them in martial arts could be the best decision for them. It is never too early to expose young adolescents to exercise and karate. If you want them to be more disciplined adults and teenagers, this could be a great place for them to start. When you need to find the best Karate Class Kingwood TX dojo for you and your family, be on the lookout for Tiger-Rock Martial Arts. We have assembled a world-class team of certified professionals who have mastered Taekwondo. We understand that you may not know what to look for in a dojo, and that is completely okay. Give us a call today to learn more about our programs and courses. We’re more than happy to provide you with detailed information on what we have available, and you’ll be able to count on us to get you enrolled quickly. Let’s start with your transformation. The community of Kingwood is a very specific part of the Houston area. Kingwood is located mostly in Harris County, but a bit of it spills into Montgomery County. Nature is one of the many things that allow our community to stand out. Texas is a big state with tons of big-name cities, but we have qualities that help us retain our individuality. There are over five hundred acres of nature preserves and exhibits that are located in our community. Something else that helps us stand out from the crowd is the number of tall trees we have. Do you appreciate pines, magnolias, and other types of foliage? If so, you will definitely enjoy the community of Kingwood. The Friendswood Development Company first founded our community back in 1971. While we were not very well-known back then, our population continues to steadily grow. Today, we have over sixty-five thousand residents who call Kingwood home.